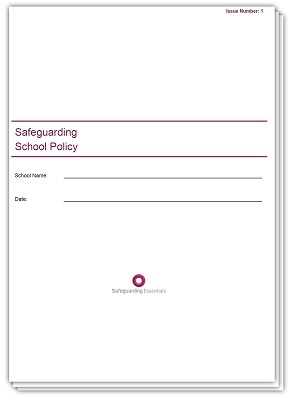 Safeguarding Essentials has 14 policy documents - scroll down for details and samples. 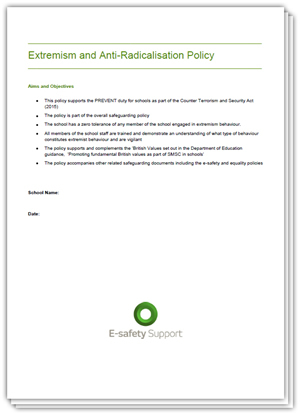 Our comprehensive policy template documents are ideal if you are short of time and need to prepare the safeguarding and e-safety policies for your school. 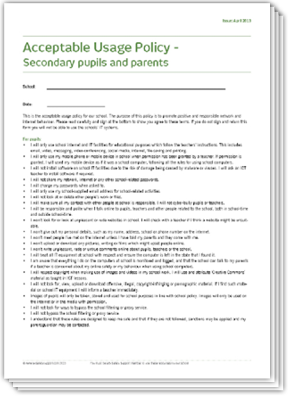 Full policies are available for a range of safeguarding and e-safety topics and acceptable usage policies are also available. You can choose how to use the documents. You can use them as they are, or amend and edit them to suit your requirements. Whichever way you choose to use them, you can be sure that they are a great basis for setting out your safeguarding and e-safety rules in school. 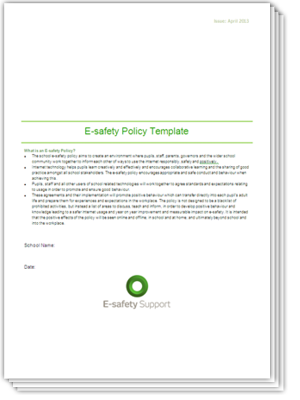 This e-safety policy template provides a useful starting point for your e-safety strategy in school. The document has been saved in Word, meaning that it is fully editable by the user. You can cut, copy and paste your own requirements into the template, or choose to leave it largely as it stands, if it is suitable for your school. The policy includes a number of clear, easy to follow statements, as well as substantial guidance and support for everybody in the school. This template document in Word allows you to create your own social media policy for teachers. Simply add your school name, the date, then cut and paste your own content into the document, or use it largely as it stands. 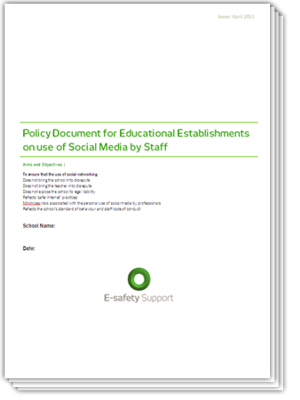 The document includes guidance and policy notes, and is a useful reinforcement for a schools' e-safety policy, specifically about the use of social media. This model policy has been designed to be easily adapted by headteachers and boards of trustees/governing bodies to reflect the ethos of your own school. The policy includes information on identifying the various forms of abuse. It also provides details on the procedures to be following in the event of an abuse concern. The policy is on Word format, so it can be adapted to include information specific to your school. This policy is designed as a template for your school to use as a basis for your own school alcohol policy. 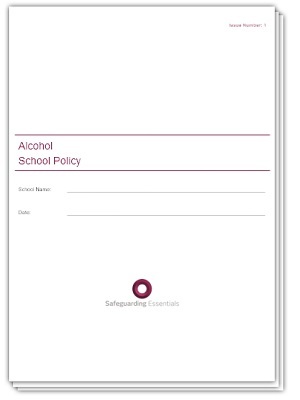 The aims of the policy are to ensure that procedures are in place to deal with any incident of alcohol being possessed, consumed or sold on the school site and school trips, to ensure that a comprehensive alcohol education programme is available for all students in school and to ensure that the alcohol education programme is reviewed on a regular basis and that it reflects the values of the school and governors. The policy is provided in Word format, so it can be modified to suit your own school. 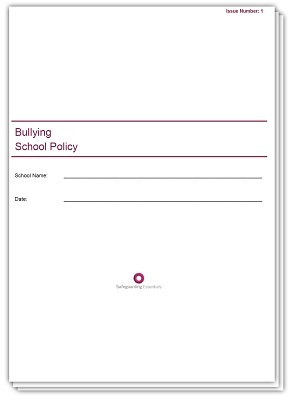 The aims of this school policy are to ensure that procedures are in place to deal with bullying in school or off site. It outlines the delivery of anti-bullying lessons as part of the PSHE programme and the promotion of anti-bullying initiatives in school and sets out the sanctions in place for any member of the school community who is involved in bullying. 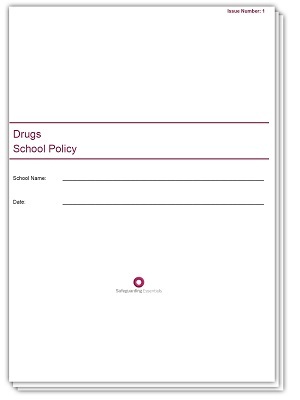 The policy is provided in Word format so that it can be supplemented with information specific to your school. This policy applies to pupils, staff, parents/carers and visitors. It applies on the school site, and also applies to pupils and staff when off-site. This includes when the staff are acting in loco parentis, for example during school visits or residentials. The policy also affects the use of school premises after normal school hours. Organisers of any after-school events should be made aware of the policy and their responsibility to implement it. This policy supports the PREVENT duty for schools as part of the Counter Terrorism and Security Act (2015). This template policy sets out the actions the school will undertake to protect students and ensure that they are informed about FGM. This policy also acts as a guide for staff in understanding how to spot signs of FGM in order to protect pupils. This resource is provided in Microsoft Word to allow it to be adapted and made specific to your school. The mental well-being policy focuses on the well-being of pupils, however, recognition is also given to the importance of the well-being of staff. 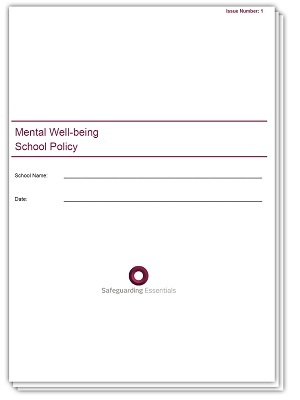 This policy is designed as a template for your school to use as a basis for your own school mental well-being policy and is provided in Word format, so it can be modified to suit your own school. The policy aims to ensure that the school promotes mental well-being and all students have the right to access services if they need further support. This model policy has been designed to be easily adapted by headteachers and boards of trustees/governing bodies to help develop a comprehensive safeguarding policy your own school. The Safeguarding Policy has various links with the wider Safeguarding agenda and staff and trustees/governors should always be aware of the impact this policy has on other, related issues. These links are outlined within the policy document. This sexting policy for schools aims to ensure that the school has procedures in place to deal with any sexting incident in school and/or the local community if pupils’ welfare is at risk. It also provides information for staff on how to search, confiscate and remove any inappropriate or indecent image a pupil may have on their mobile device. Overall, the policy is designed to ensure resilience for the school in light of any sexting incident including ways to support students and parents/carers. 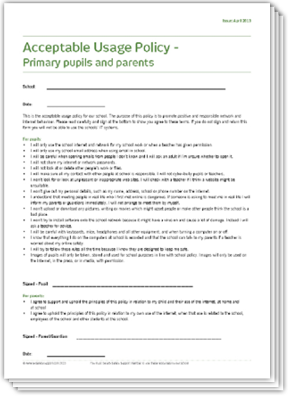 This document is an Acceptable Usage Policy (AUP) suitable for primary school pupils and parents. Young people need to understand the basic rules for using ICT in school and for school purposes, which is where the AUP comes in. The document can be used as is, or it can be adapted for your own use. It covers the use of school IT systems, email and social media, privacy, Data Protection, use of images and more. Every school needs to have an Acceptable Usage Policy (AUP) for their staff and other stakeholders. 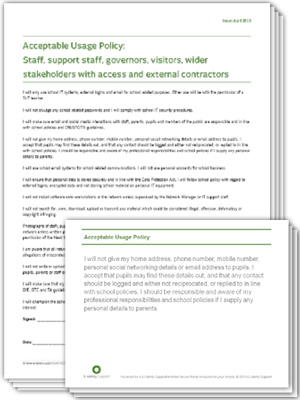 This document is suitable for use by staff, support staff, governors, visitors, wider stakeholders with access and external contractors. It encourages responsibility for e-safety and clearly outlines how ICT can be used safely in and out of school. This Acceptable Usage Policy (AUP) is suitable for secondary pupils and parents. It covers important e-safety topics and fosters an understanding of the key issues surrounding usage of ICT and the Internet in and out of school. These include use of school IT systems, email and social media, privacy, Data Protection, use of images and more. The policy can be used as it is, or adapted for your particular requirements. It encourages responsibility from parents as well as students.